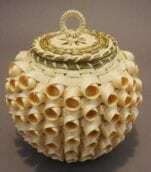 Geo Neptune is an award winning artist and educator. 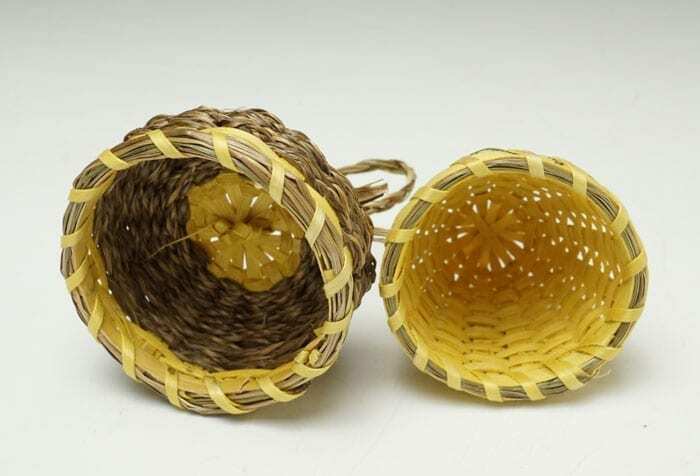 They use their deep knowledge of Passamaquoddy culture and their life-long love of basket making to help keep traditions not only alive, but vibrant and moving forward. 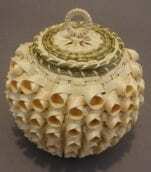 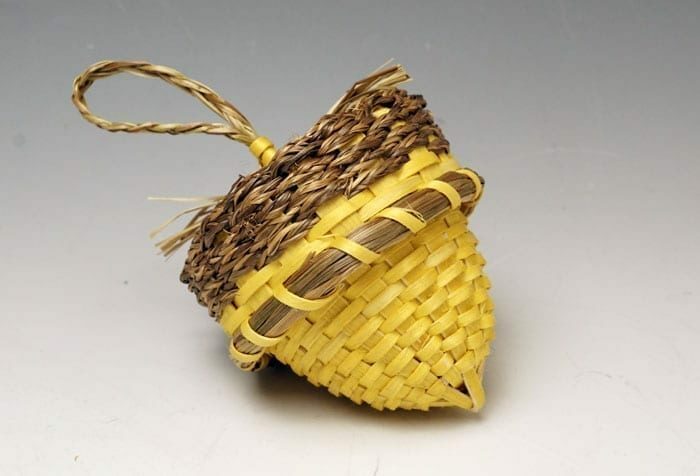 This acorn basket is smaller than most acorn baskets made by Wabanaki weavers. 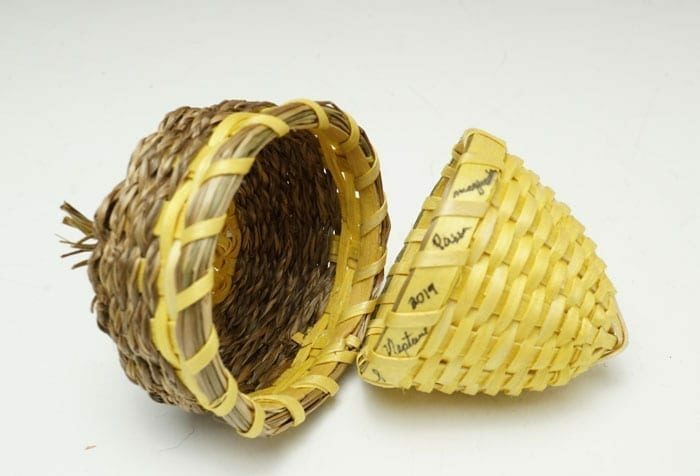 In fact, it is much closer in size to an actual acorn than the typical acorn basket. 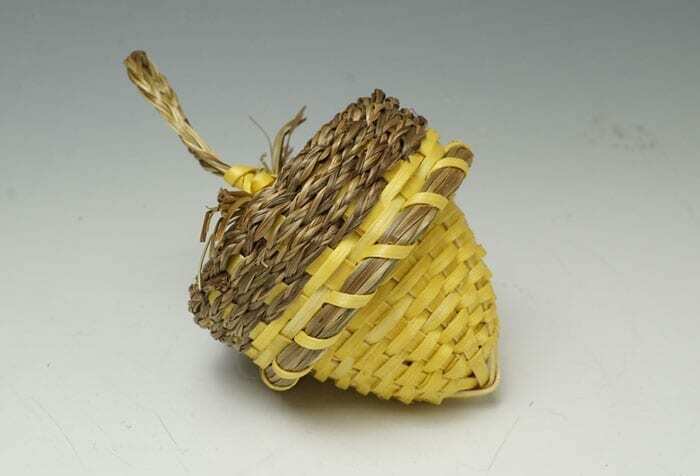 2 inches diameter x 3 1/2 inches high, including the sweetgrass loop.